♩♩'Tis the Season of Saison ♩♩. . . well, actually, that's nothing new around here. In my second year as a homebrewer, I have been in hot pursuit of My Perfect Saison. It is, perhaps, the best style for experimentation and has called brewers around the world to a virtual infinity of interpretations. My first iteration, full of folly & flavor, was the Dandelion Saison. This little one came along next—a bit lighter, and buoyed by some new flavors courtesy of a wild yeast strain. Next up: a Christmas version, happily bubbling away in anticipation of the holidays . . . Hark! Malt: Pilsner, Vienna, Flaked Wheat. Overall: A nice little beer, crisp as the December air. This one's right at home in the pale afternoon light of the shortest days of the year. Appearance: Pale, pale gold; a touch cloudy; with a head that likes to jump out of the glass. Aroma: Me: "What does it smell like to you?" Sam: "...I don't know. Sunshine?" Taste: Bright, floral; light and crisp; a toasty lil cracker. Mouthfeel: Lively champagne-like carbonation; dry as a bone. The tale of the Dandelion Saison started peacefully enough. I woke up early on brew day, and though it was a rare day off from the farm, I pulled on my boots and walked out to pasture. It was mid-May and the fields were painted yellow with dandelions, as far as the eye could see. With a canvas tote slung over my shoulder, I set about harvesting the flowers. I watched as a bumblebee drifted from plant to plant, busying itself by my side. The sun rose over the mountains, greeting a new day. True serenity. Cut to seven hours later. I walked down the barn stairs to the milking parlor, where Sam was working in my absence. Slouched over and flush from the 90-degree heat, I was dejected. Mere minutes before the end of the brew, my glass thermometer had broken in the kettle, spilling lord-knows-what into the batch. Sam tried to talk me down, but I was having none of it. The batch was ruined. All of that meticulous recipe planning, the hand-selected ingredients, the hours of research on brewing techniques for a more perfect beverage: all of it, down the drain. Because of a thermometer. Alas! After contacting the manufacturer, I learned that the thermometer was, of course, food-grade: No mercury, no lead, no poisoned beer! And to make matters even better, the broken glass could be strained out before bottling. A beer without glass shards is highly preferable, no doubt. I patiently waited as the French Saison yeast worked its magic in the fermenter. The weeks rolled by, milking & pasture season ramped up, the dandelions in the field went to seed and blew away with the wind. All the while, a faint *bloop* *bloop* could be heard in the corner of our one-room house: yeast, busy at work. Finally, as the calendar turned to July, the Dandelion Saison reached maturity and made it into bottles: free of any glass or poison. This trouble child creation of mine was finally coming to fruition. Cut to one week later. The patience I had so gracefully exhibited during fermentation ran out. I had just walked in the door after a long day on the farm. A long week, really: the barn had flooded, there were wagons full of hay to unload, new employees to train in the milking parlor. A post-work beverage sounded nice, and though I knew it took three weeks or so for beer to carbonate in the bottle, it couldn't hurt to test one early—right? Worst case scenario, a flat beer. So I grabbed a swing-top bottle off the shelf and popped it open . . .
What followed can be described with a whole lot of onomatopoeia, but just one actual word will suffice: Geyser. The second the bottle was opened, beer sprayed everywhere, and with vigor—we have the ceiling stains to prove it! So, of course my split-second reaction was to stick it in my mouth . . .
That didn't last long. I ran to the shower, leaving a shower of saison in my wake. . . Good news, though: the beer tasted great! In the end, I learned three things: 1) Those extra weeks in the bottle give time for the carbon dioxide within to dissolve into the beer. Open the bottle too early and that gas will all be stuck in the head space, giving you a rare glimpse of "Old Faithful" far, far away from Yellowstone. 2) My wife is an incredibly good sport. Faced with the grim reality of a homebrew-drenched house, all she did was laugh and help me clean up the mess I'd made. 3) This is my favorite beer that I've brewed to date. Historically, saisons were brewed by farmers in the French-speaking region of Belgium, primarily for the consumption of their seasonal farmhands, or saisonniers. This beer follows that tradition: it is dry and refreshing, ever so slightly tart, and has a much lower alcohol content than modern saisons. It is a beer fit for a farmer, brewed by a farmer. Appearance: Cloudy, pale gold; capped with a big ol' fluffy head. Aroma: Rising bread dough, with maybe a hint of dandelion petal. Taste: Floral, fruity yeast flavor, and pleasantly tart. Mouthfeel: Lively carbonation, low bitterness, finishes dry. Overall: For a beer that was anything but easy to brew, it sure drinks easy after a day spent in the field, under the sun! Ever since moving to Vermont last spring, we have enjoyed the distinct luxury of drinking consistently excellent beer courtesy of our master-homebrewer friend, Pete. 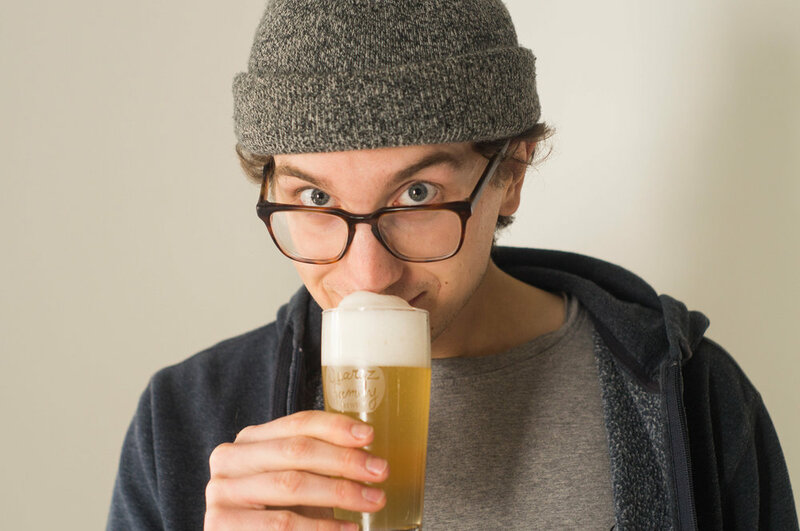 His wonderful, often hoppy, offerings have become the stuff of local legend; so much so that he currently has a brewery in the works, Red Clover Ale Company. In a recent letter from the convent, our sister even wrote how happy she is that we live in "Homebrew Heaven." So as a fledgling homebrewer, when you get a chance to brew with Pete—you do! Local beer has a unique place in the cultural makeup of Vermont. Many of the state's finest beers can only be found & consumed within a few miles of where they are brewed. Freshness and dedication to craft are taken seriously around here! Some would even say a bit too seriously. But a wonderful result of this rich brewing & consuming culture is the (quite accurate) view of beer as an agricultural product. Brewers are often proud to share information on their ingredients— be it malted grains and hops sourced from neighboring farms, or a wild yeast strain harvested afield—as well as their methods. In many ways, it is quite reflective of Vermont's agricultural heritage. Ours is a tight-knit community of producers, and we are better off that way! The crossover between farming and brewing is natural and tangible, as evidenced by all the talk of yeast starters and dry-hopping that takes place in and around the barn at Consider Bardwell Farm. 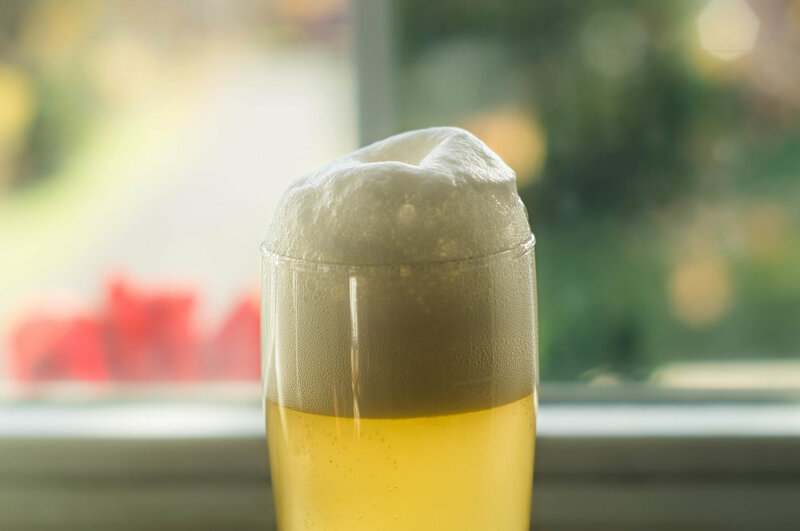 This particular "Vermont Farm Beer" is a take on the classic pale lagers of the Czech Republic, intended as a refreshing & light post-work beverage, best enjoyed in the good company of your neighbors. We decided to call it "Prefresh Pils," as it was brewed during the month preceding kidding season, when the goats have yet to "freshen" (or, give birth). Cheers! Overall: Fresh, balanced, and quite drinkable; reminiscent of kellerbier, the unfiltered sister style to pilsner. The low alcohol content allows for more nuanced hop, malt, and lager yeast character. A nice, refreshing post-work beverage! 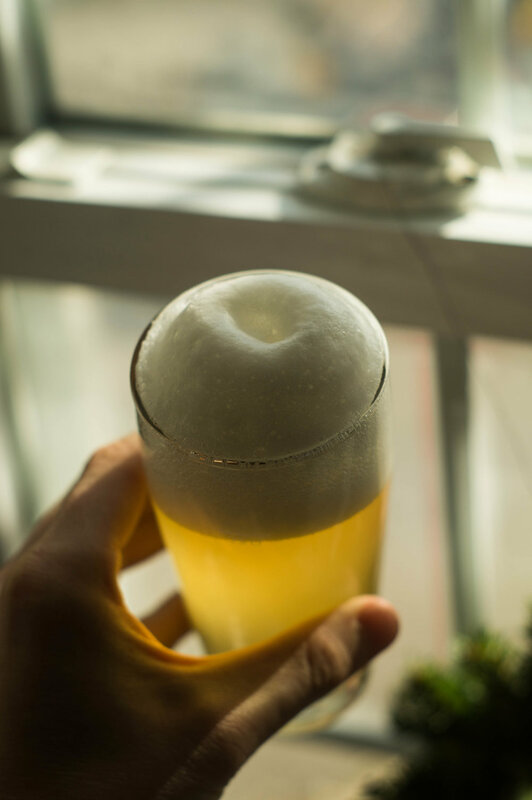 Appearance: Pours a pale, golden straw color; a bit cloudy, with a fluffy white head. Aroma: Subtle cracker and grain notes with herbal hop overtones. Taste: Malt-forward and ever so slightly sweet, balanced by grassy Czech hop profile. Mouthfeel: Light bodied with mild carbonation and a clean finish. I love beer. It fascinates me, everything about it: the vast array of styles, ranging from crisp, light pilsners to thick milk stouts; the various combinations of ingredients and techniques associated with each, always centering around the same basics—water, malt, hops, and yeast; and the rich history, which includes the world's oldest continually valid food and drink regulatory law, the Reinheitsgebot. Speaking of history, did you know President Carter effectively legalized homebrewing when he signed H.R. 1337 into law in 1978? Needless to say, when it dawned on me that I could brew my own, my first thought was, "Sign me up." 1. Malted grain is soaked in hot water to create fermentable sugars. 2. The malt sugar solution is boiled with hops for seasoning. 3. The solution is cooled, and yeast is added to begin fermentation. 4. The yeast ferments the sugars, releasing carbon dioxide and ethyl alcohol. 5. When the main fermentation is complete, the beer is bottled with a little bit of added sugar to provide carbonation. That's it—people have been doing it for thousands of years, literally. Of course, the art & science of brewing has advanced much over the years, especially in recent decades. Without the craft beer revolution that has turned America into Mecca for suds & hop heads, I would have never given any more attention to beer than what is demanded by a bland adjunct lager with fewer than 100 calories (Hint: It rhymes with "mud geyser"). But after years of developing a palate for Berliner Weiss and Trappist Ales alike, touring breweries, and consulting resources like BeerAdvocate and RateBeer, my desire to brew at home became too much to ignore. Still, it took awhile for me to actually dive in. But with the help of a teacher (pictured below, with beard) and an investor (also pictured below, with flaming hat), I finally did it. We held our inaugural Wayne Co. brew day at the end of January, bottled the beer on Fat Tuesday, and cracked it open just in time for our farewell to Ohio. A few weeks in the making (and a few days in the drinking), I would consider our first effort a great success. We brewed an India Pale Ale, the style that made beer "click" for me four years ago. As I will do for all future Down Homebrews, I have profiled "Fat Tuesday IPA" below. Malt: Irish Stout, Caramel 60, Wheat, Honey. seems to bring out a more distinctive hop & malt character, resulting in a well balanced beer. Appearance: Pours a hazy sunburst orange; topped with a pillowy, bright paper-white head. Aroma: Notes of pine and citrus; very hoppy. Taste: Hop forward, with a juicy, floral character; somewhat spicy, herbal; balanced by rich, toasty malt profile and a bit of honey sweetness. Mouthfeel: Medium, smooth; nice, crisp carbonation and relatively low alcohol content for an IPA.